Our laboratory is a full service CLIA (Center for Disease Control and Prevention-Clinical Laboratory Improvement Amendments) certified laboratory. Because of our unique location, we offer a diverse test menu to serve the needs of a community situated on an island in Southeast Alaska. Our laboratory testing menu has been specifically designed to meet most routine and emergency patient needs. Normal operating hours for the laboratory are Monday through Saturday from 0800-1700, excluding holidays. Emergency Services are available at all other times by on-call personnel. Please contact the Laboratory Manager if you would like a price quote. Additionally, the laboratory provides Department of Environmental Conservation certified water quality testing for potable, pool and cannery sources. 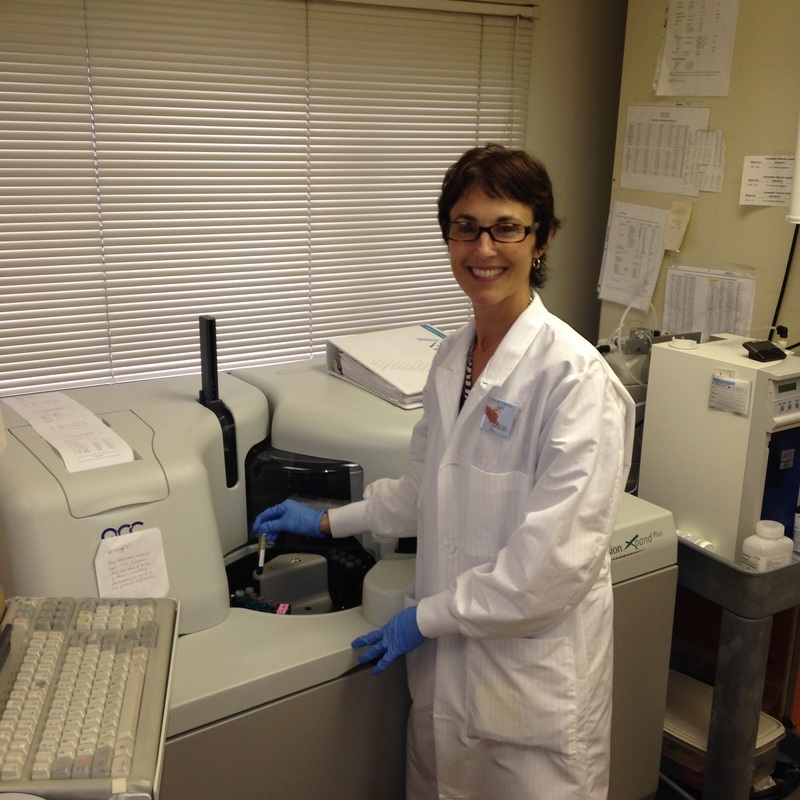 If you would like to submit a sample for testing, please pick up a collection kit directly from the laboratory. Most of our staffed are qualified for Workplace Safety Collections (NIDA/DOT Urine collections and breath alcohol testing). Employers may download the document below and fax to: 907-772-9271. All workplace safety testing must be scheduled in advance, Monday - Friday 9:00 -11:00 am. Observed holidays excluded. If you are interested in employer directed rapid in-house testing, please call the laboratory manager in advance to discuss the testing protocols. Both of the following forms are required for rapid in-house testing. 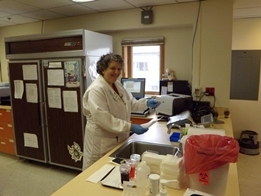 Petersburg Medical Center Laboratory is staffed with six Medical Technologists and one Laboratory Assistant. When is the next Health Fair? The Petersburg Health Fair is held every other even numbered year. Our next health fair will be Spring, 2020. Do I need an order for lab tests? Orders from your physician are required. However PMC laboratory offers Hepatitis C and HIV testing for no charge. These samples are sent to the Alaska State Public Health Laboratory and results will be given to the PMC physician of your choice. What do I need to do before my blood draw? Some tests like Lipids require a fasting specimen to get most accurate results, other tests may not. Please contact the laboratory to clarify your need to fast. Fasting for lab tests is generally 10-12 hours, nothing by mouth except water. If you are having an imaging study on the same morning as your fasting blood test, verify with the imaging department if water is permitted. Some tests measure the level of therapeutic drugs in your bloodstream. As a general rule, therapeutic drug levels are drawn just prior to the dose of medication being monitored. If you are not certain, please contact the laboratory for instructions. How soon after my blood test will my doctor have my results? 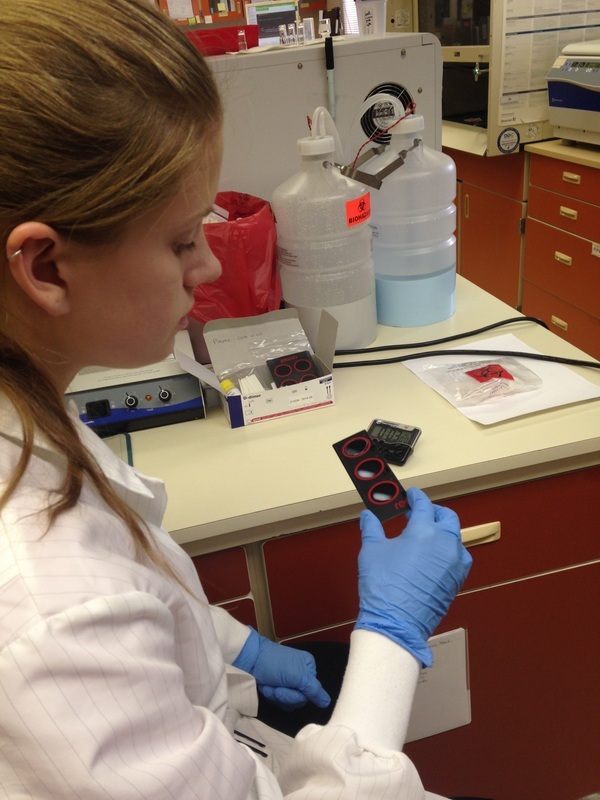 Most testing is done on the same day as your specimen is collected, however some tests require a few extra days. Specimens sent to a reference lab for testing may take several days to a week. Laboratory results will be available in your Patient Portal in most cases. Some documents may not be available on line. May I have a copy of my results? We only need a release of information (ROI) prior to releasing results to you. The best interpretation of your lab results will come directly from your physician. But if you would like more detailed information about lab tests visit www.labtestsonline.org. My doctor is from out-of-state. Can I have testing done at PMC Lab? Certainly! We will fax your results to your ordering physician. All we need is a laboratory order from your physician. This can be brought to the laboratory by you, or your doctor's office may fax the order to our secure fax: 907-772-9271.